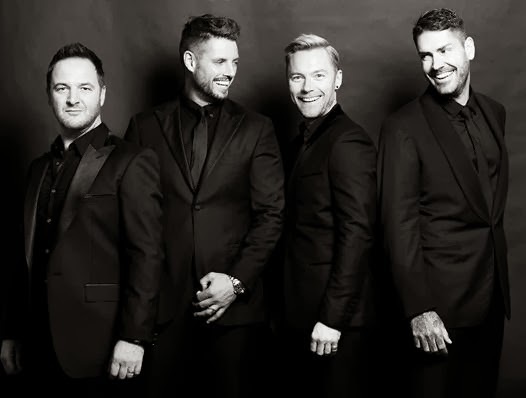 Twenty years, twenty five million record sales, four UK #1 studio albums later, Boyzone are still going strong and are set to embark upon a new stage in their hugely successful career. To mark their 20th year together, Ronan, Keith, Shane & Mikey will release a brand new studio album titled BZ20 with lead single being Love Will Save The Day and was written by Jez Ashurst and Viktoria Hansen. Boyzone are currently recording BZ20 at Metrophonic with Brian Rawling, who has previously produced some of Ronan’s solo material as well as delivering hits for the likes of One Direction, Kylie Minogue and Cheryl Cole. The boys recently premiered the new song Love Will Save The Day as part of a ‘Greatest Hits’ medley on X-Factor Australia. Check it out below which will be available on Sunday 17 November and available on iTunes pre-order now..!